I have finally made the push and am up with a website/blog dedicated to a topic that is near and dear to my heart-bicycles! I love most anything about bicycles. The frames, the frame materials, components, geometry, the different styles. Working on them. Riding them all the neighborhood, city, state, and country (ok, only a little bit). It is amazing all of the places that a bicycle will take you if you let it, and there is something extremely calming for me about that. 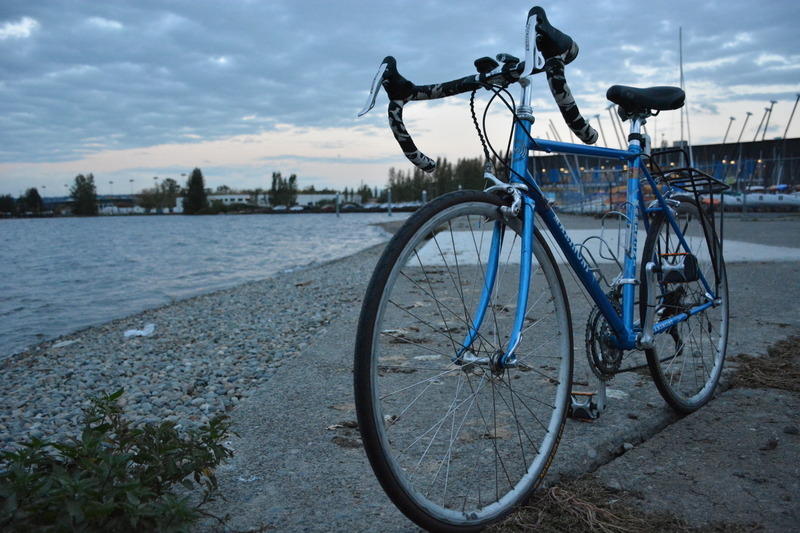 I hope this becomes a place where I can, and will write about bike-related topics. Whether it be some bike history, bike repair or anything else that strikes me, I would like to write about it. In addition, through this experience, I hope to encourage more dialogue with the bicycling community and the members within it. I would love to work on more bikes! If you would like a tune-up, build-up, or retrofit, I would love to hear from you! If you have a bunch of bike gear that is filling up your garage or room (I know the feeling) I would like to talk to you about consignment. As I mentioned I do sell somewhat regularly on eBay and if you would like assistance liquidating excess bike stuff, I am here ready to assist. If you need help shipping a bike across the county (or world), I would like to help, as I have done both successfully many times. Finally and maybe the most exciting: If you are one of those people that is looking into getting a bike for the first time, please please please talk to me! There are so many little nuances to bicycling that I wished I knew when I bought my first few bikes, and I would love to share those. Heck, we can talk about what you are looking for and I can hunt for it!